Your Ghost Host will guide you on a fascinating 75-minute exploration of Shockoe Bottom, the oldest and most haunted neighborhood in Richmond, where over 400 years of history have produced an ample share of those caught between this world and the next. 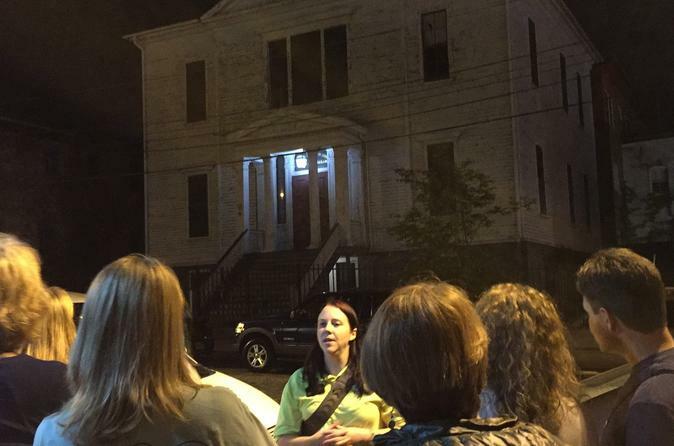 Your Guide will share with you the history of the neighborhood, and how it relates to the tales of the mysterious and tragic things that have led to numerous reports of paranormal activity along the tour route. The Old Stone House which now serves as the cornerstone of The Poe Museum. An old tobacco warehouse that is now an art gallery and church, but once served as a Florida hospital during the Civil War. The abandoned Church Hill train tunnel that was the site of a major calamity in 1925, and proved to be the final resting place for some unfortunate workers.